As an adult, it is easy to look back and think how ridiculous the whole situation was. This girl had things pretty rough at home and it was probably a major reason why she bullied me. In retrospect, it is easy to think, “I should have just been assertive and stood up for myself,” but at the time, I wasn’t a confident adult; I was a 10 year old girl who was being bullied by someone who was older and bigger than I was. I can still remember the feeling I got every time I saw her. My stomach would start doing summersaults, my knees felt like Jell-O and I would feel so nauseous it was amazing that I never threw up in front of her. 39% of grade 7 students and 28% of grade 10 students in Halton, reported being bullied at school at some point during the 2009/2010 school year. While most bullying happens at school, it can happen anywhere children are together. As adults, we need to be concerned abut bullying. Both children who are victims and children who bully are at risk for developing a wide variety of emotional and behavioural problems as they get older. We know that bullying can be a difficult issue to manage. It can be especially emotional for a parent who as a child was a victim of bullying. So what is a parent to do? There are resources available to support you. 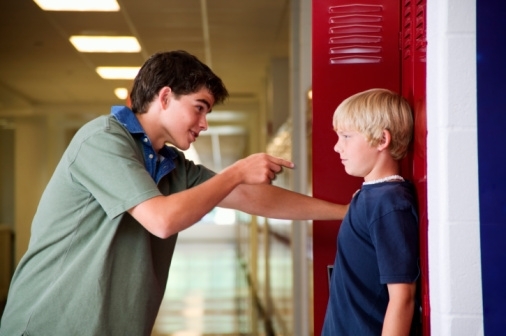 There are also strategies that children can use if they are being bullied, are the bully or are the bystander. 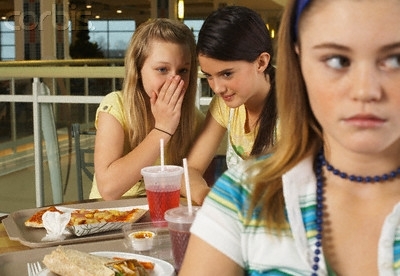 Remember that attitudes toward managing bullying have changed since you were a kid. Old bullying myths such as “adults should stay out of it” or “kids just have to learn to stand up for themselves” no longer hold true. Research has shown that when a child is being bullied, there is an imbalance of power. The child who is bullying has all of the power and often the victim is unable to stand up for themselves. Sometimes when children do stand up for themselves, especially when they come across aggressively, it can also prolong the bullying or make it worse. Bullying is definitely a tough topic. This makes it all the more important that we as parents and adults take it seriously. We need learn more about the motivations and impact of bullying in order to help our children overcome it. This entry was posted in Children & Tweens, Emotional Well-Being & Mental Health for Your Child/Tween, Emotional Well-Being & Mental Health for Your Teen, Keeping Your Child/Tween Safe, Keeping Your Teen Safe, Parenting, Parenting Your Child/Tween, Parenting Your Teen, Teens and tagged bully, Bullying, bystander, Halton, Mental Health, parents, school health, teens, tweens, what to do. Bookmark the permalink.